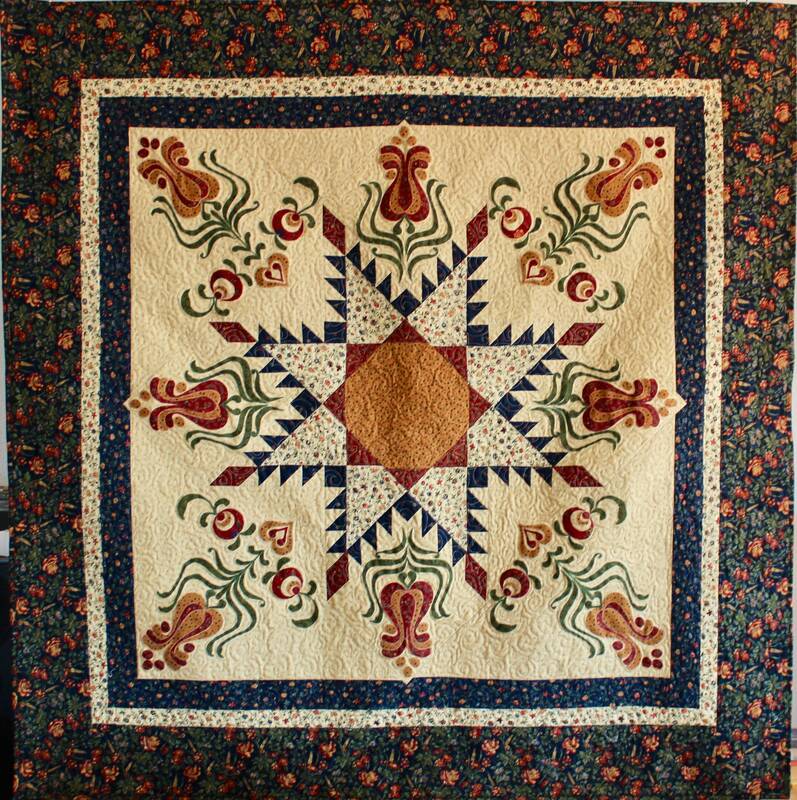 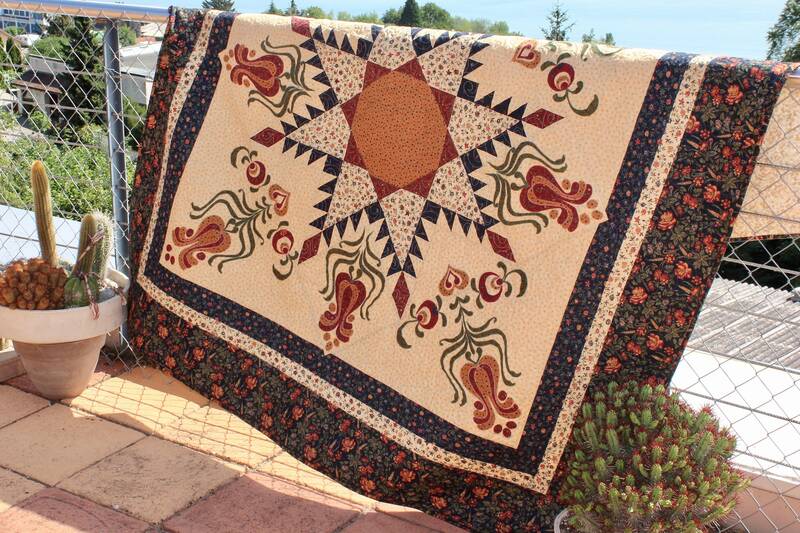 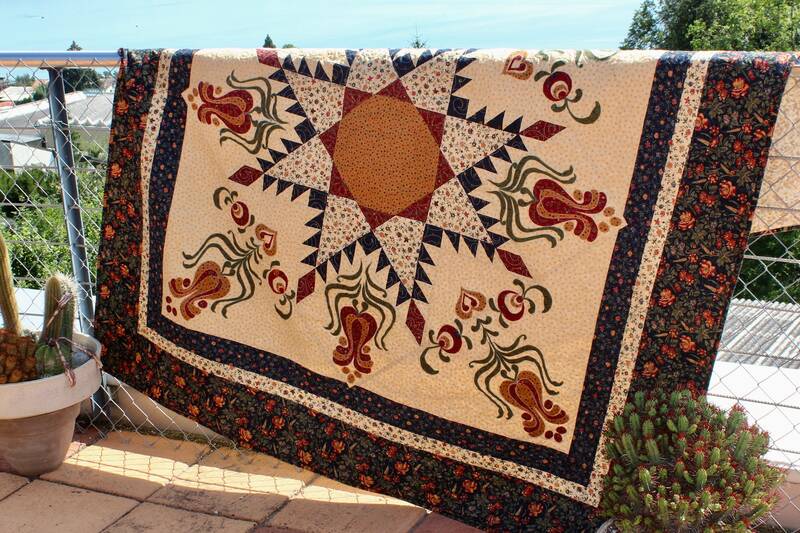 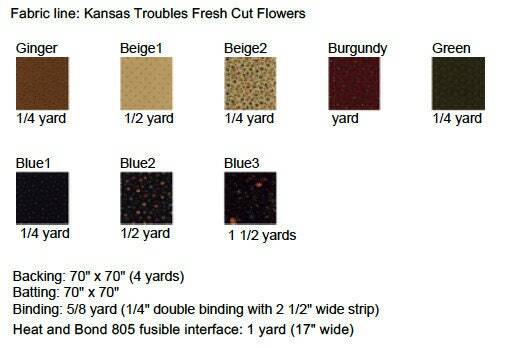 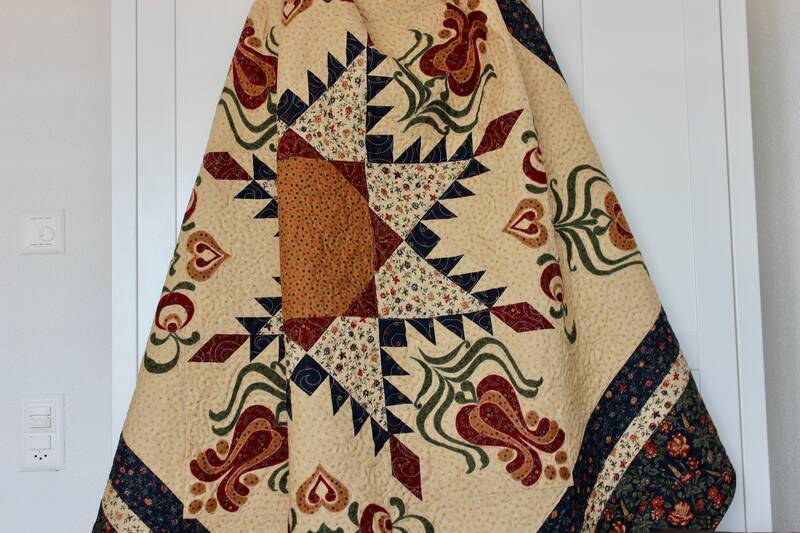 Feathered Star with tulip appliqué - PDF quilt pattern - size 62" x 62"
The Feathered Star is a traditional quilting block which I combined with tulip appliqué. 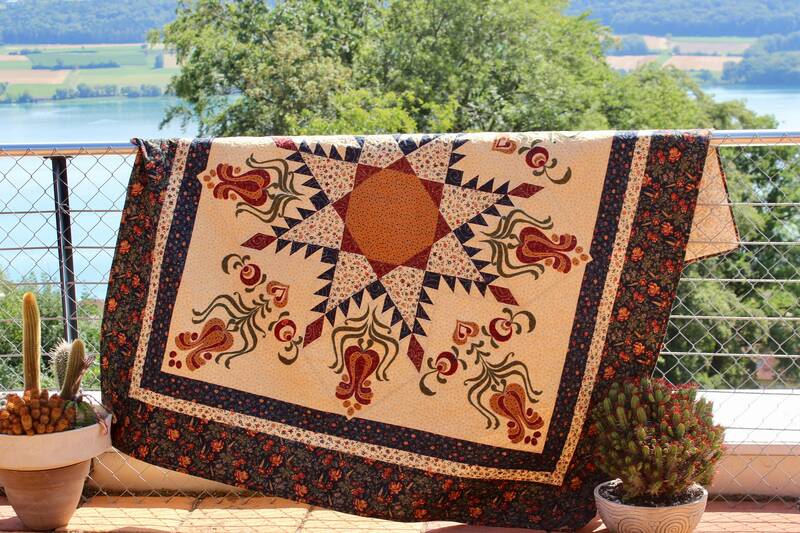 The appliqué is adapted from traditional Hungarian embroidery motives (Kalocsai). 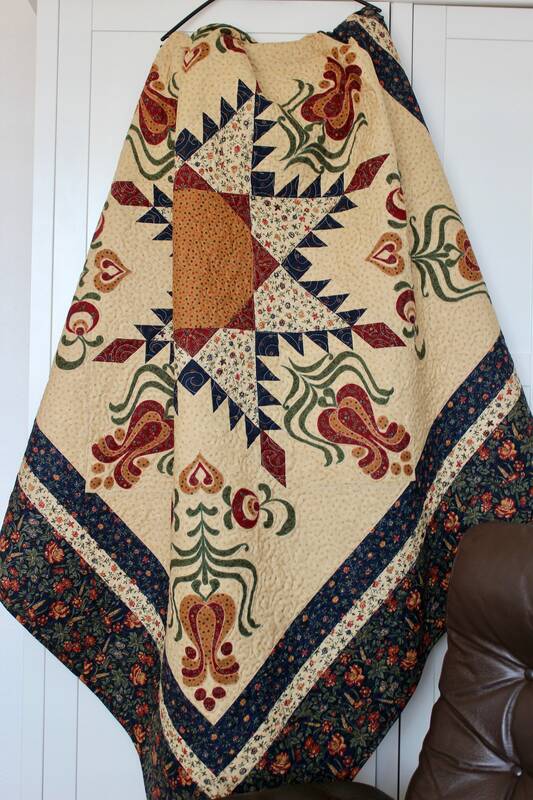 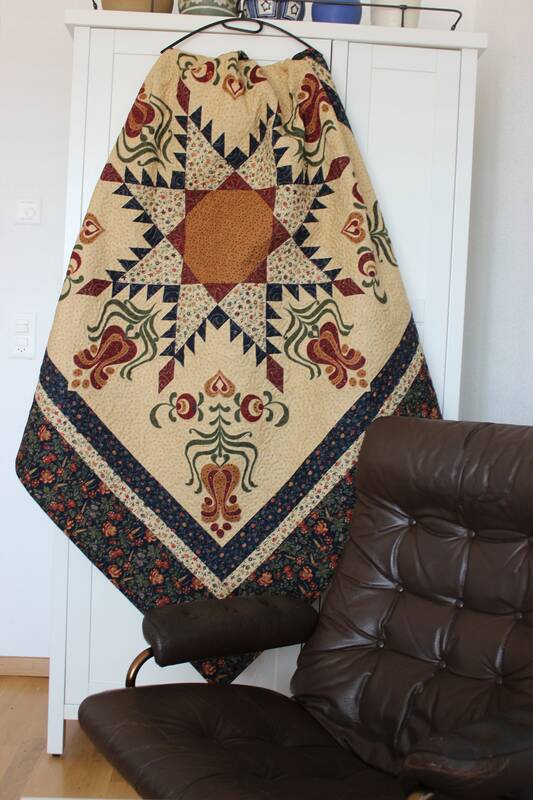 To make this quilt you will need some experience with foundation piecing and working with fusible interface for applying the appliqué. 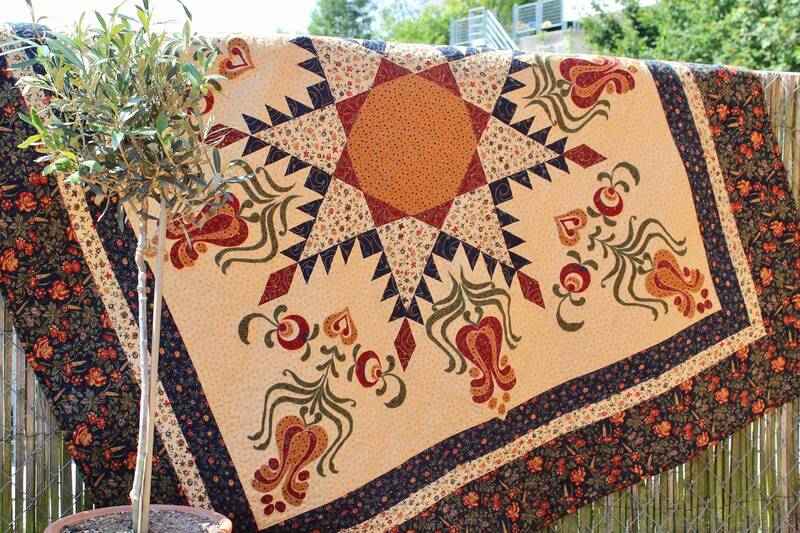 - step by step cutting, piecing and quilt assemble instructions demonstrated with lots of images and easy to follow.